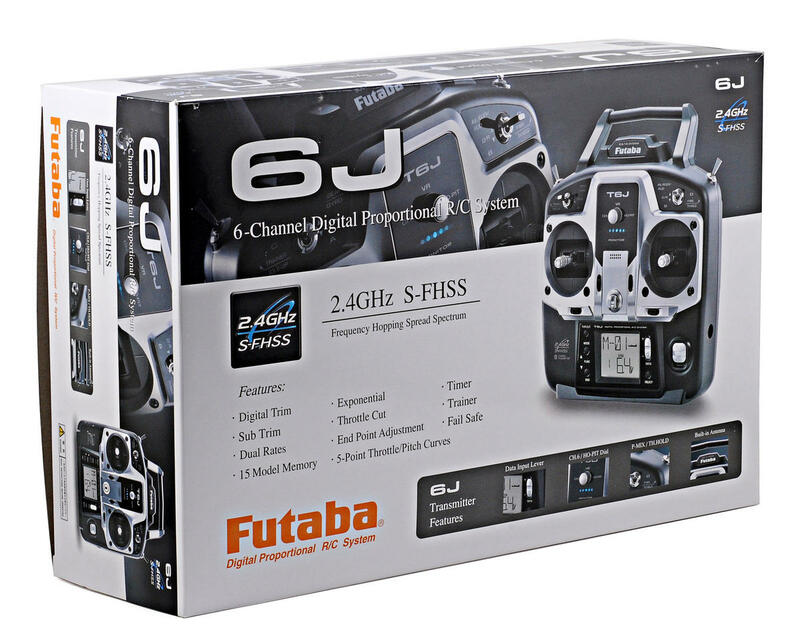 This is the Futaba 6J 2.4GHZ S-FHSS Helicopter/Airplane Radio System. 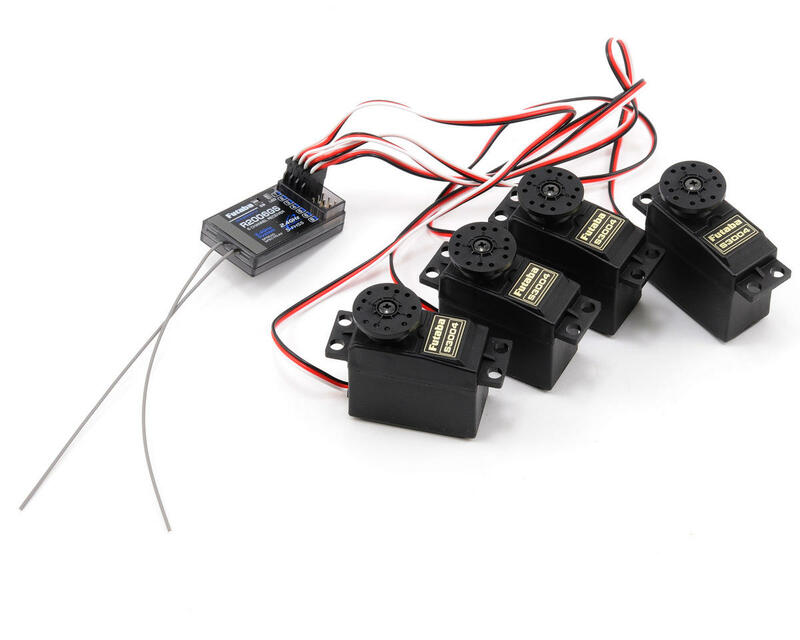 This package includes a R2006GS receiver and four S3004 servos. In S-FHSS mode, the 6J’s frame rate is just 6.8ms, a response speed unmatched by any other 6-channel flight system. But the 6J isn’t just about speed; it’s also one of the best values you’ll find anywhere. It’s an easy and natural step up from a 4-channel system. And if you already own a 6-channel, it’s a solid investment with a range of high-end features that goes far beyond what you’d expect. Start with 15-model memory. Throttle and pitch curves for airplanes as well as helis. Electronic swash ring for helis, as well as four swashplate options. 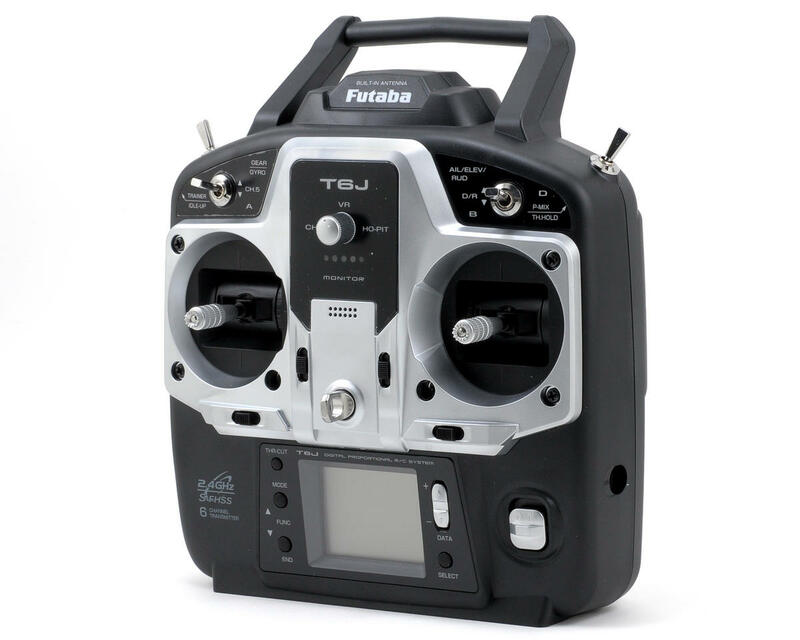 And with the blazing speed, absolute affordability and unequaled value, the 6J also offers the rock-solid security and dependability of Futaba FHSS technology. The included R2006GS receiver auto-adapts to the transmission mode selected, whether it’s FHSS or high-speed S-FHSS mode. 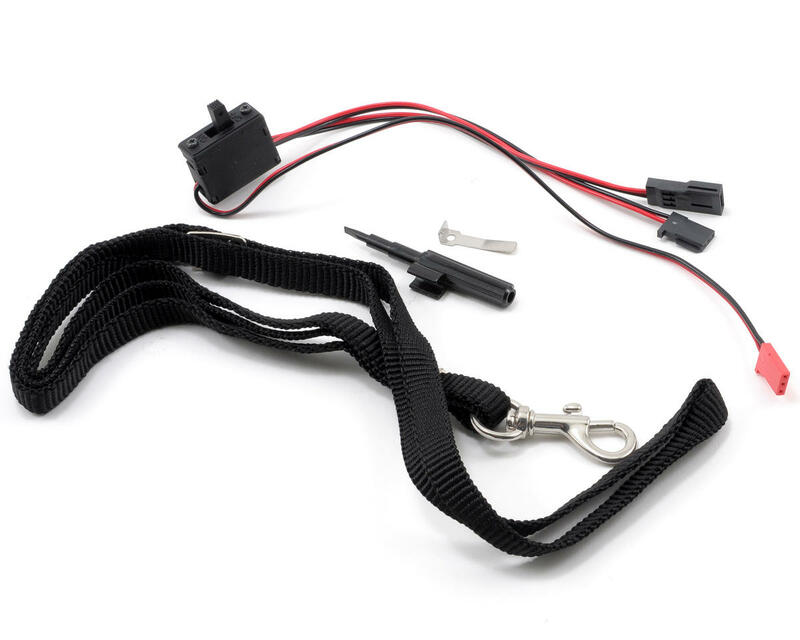 And since it operates on a wide range of voltage, you don’t need a regulator even if you use a 2S, 7.4V LiPo pack as a power source. These are just some of the features that make the 6J one of the best flight system values around! Clean Faceplate Layout: The 6J faceplate looks clean and uncrowded, yet puts sticks, the programming keys and the rotary knob within easy reach. A built-in antenna prevents breakage and damage. Profile: Angled for a better, easier grip, and balanced for easy neck strap use, the 6J’s case also features a broad, flat base that makes it stand solidly when you set it down. Other features include a charging jack on the side and a square micro-port for a trainer cord on the backplate. LCD Screen: A big 40 x 30 LCD offers more information and easier viewing at a glance. You can see model name, number and type, voltage, modulation (and more) on the home screen; push SELECT and you see the timer! Scroll function: If you scroll by the function you want, no problem; you can navigate through menus forward and backward with the same ease. Assign mixing function to any switch: Most of the 6J’s mixing functions can be assigned to the switch you prefer, so you can adjust the control setup to your style of flying. Rotary Knob: The 6J’s rotary knob can be used for a fully proportional 6th channel, fine-tuning hover-pitch or scale flaps. It also leaves room for an added programmable mix you can activate with the flip of the switch.